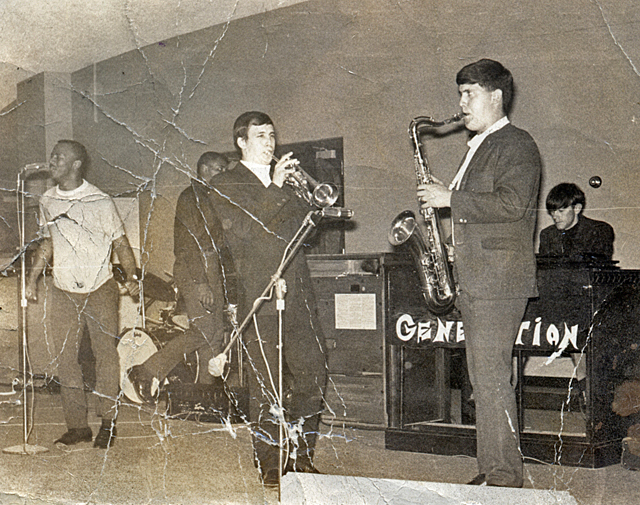 Gary grew up and went to high school in Kansas, where he played keyboards in an R&B band and built his first hot rod, a ’29 Chevy. A friend with a wrecking yard turned him onto a totaled ’55 Chevy with under 8000 miles. Its 265 V8 and three speed trans quickly found their way into Gary’s coupe. 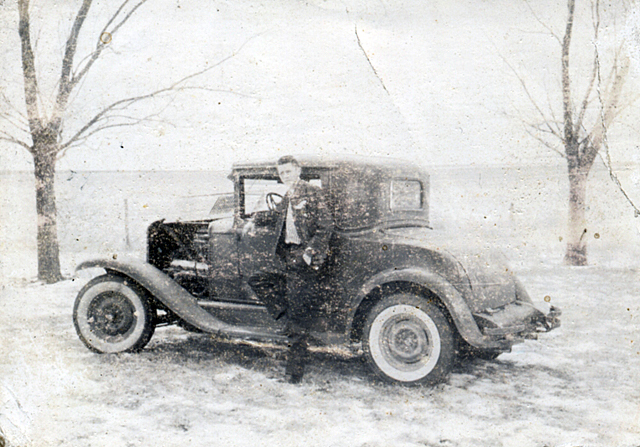 Gary drove the car west when he joined the Navy. Stationed at Alameda and later on North Island, San Diego, he was trained in aircraft sheet metal fabrication. After leaving the service Gary pursued a career as an aircraft airframe and power plant mechanic. A visit one weekend to the Fremont Nostalgia Races rekindled his love of fast cars and he soon found himself partners in a Fuel Altered. 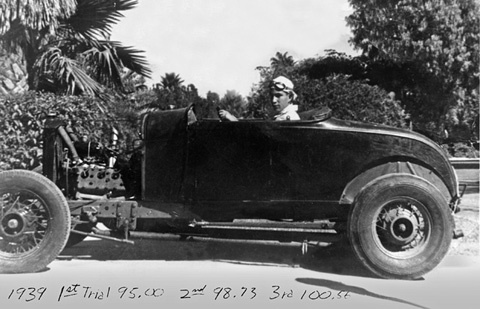 He left the aircraft industry to work full time building hot rods, first for Frank Shonig and later in his own shop. 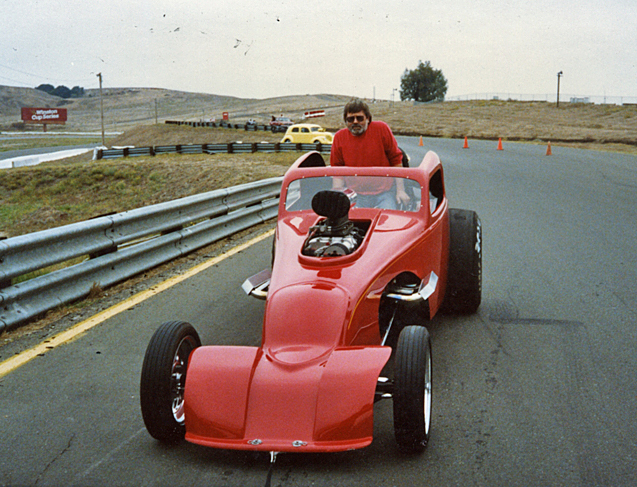 Dave grew up in Southern California, the son of a hot rodder and dry lakes racer. 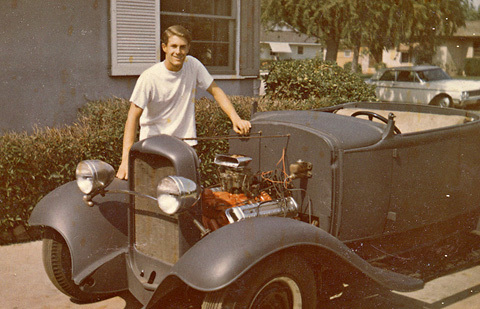 He rode mini bikes, raced Go-Karts and got his first car at 15, a ’31 Chevy roadster. Dave was mentored by his dad and the older guys in town and has been building cars ever since. 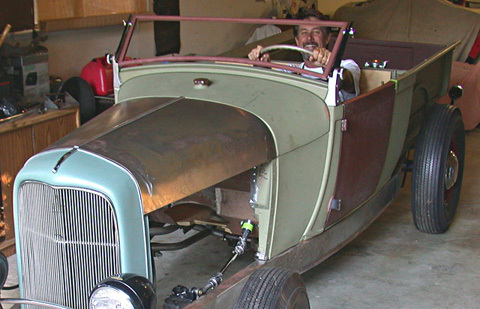 When Dave was little, his dad became interested in fiberglass and built his own “sports rod” ‘glass body. Dave’s job was to sit on the shop floor with a pair of goggles and a hammer and knock the resin drips off the concrete. When he was in Jr. High, his dad built him a surfboard. 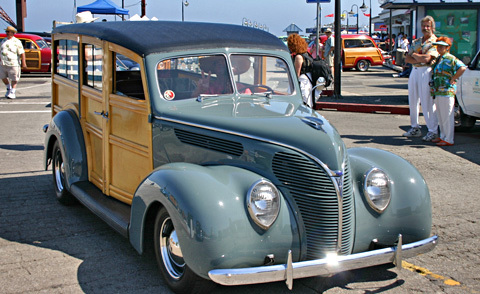 Growing up in both the hot rod and surfing cultures had a predictable outcome: an interest in hot rod woodies. 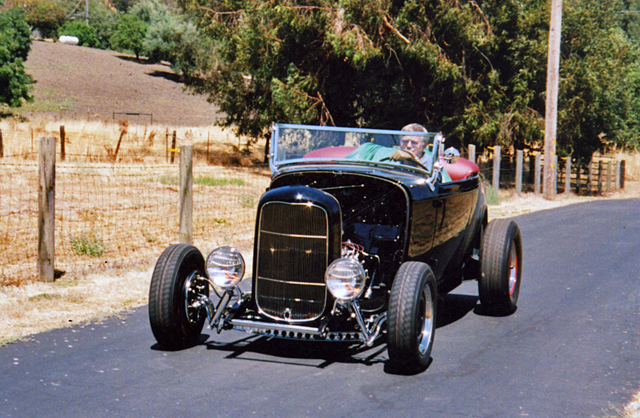 Dave built the ’38 shown in these pages and is a founding member and past president of the Santa Cruz Chapter of the National Woodie Club.